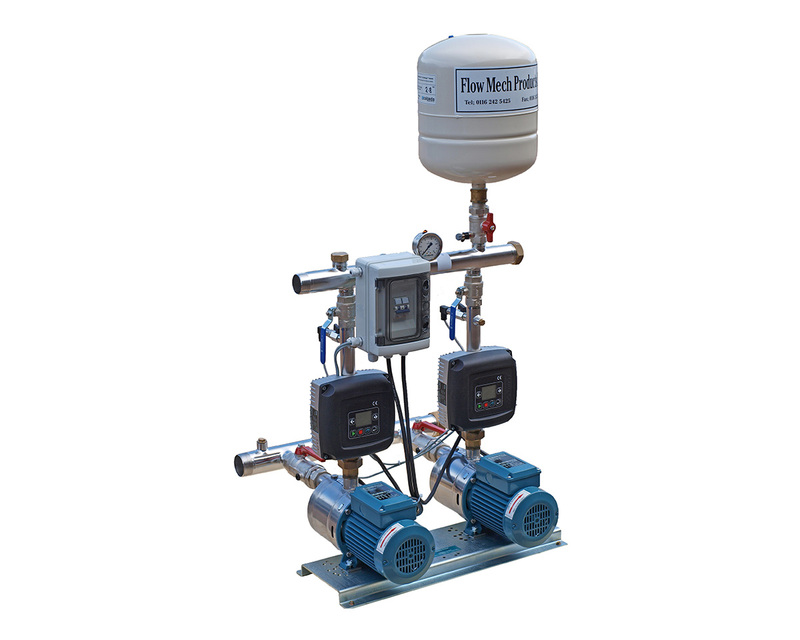 All of the cold water booster sets from Flowmech are designed to deliver constant water pressure at variable flow demands. We provide WRAS listed booster pumps for potable water applications, as well as valves and 316 stainless steel pipework. Put simply, a water booster pump is a small mechanical device that is used to maintain water pressure when the controls recognise lowering pressure and flow rate. 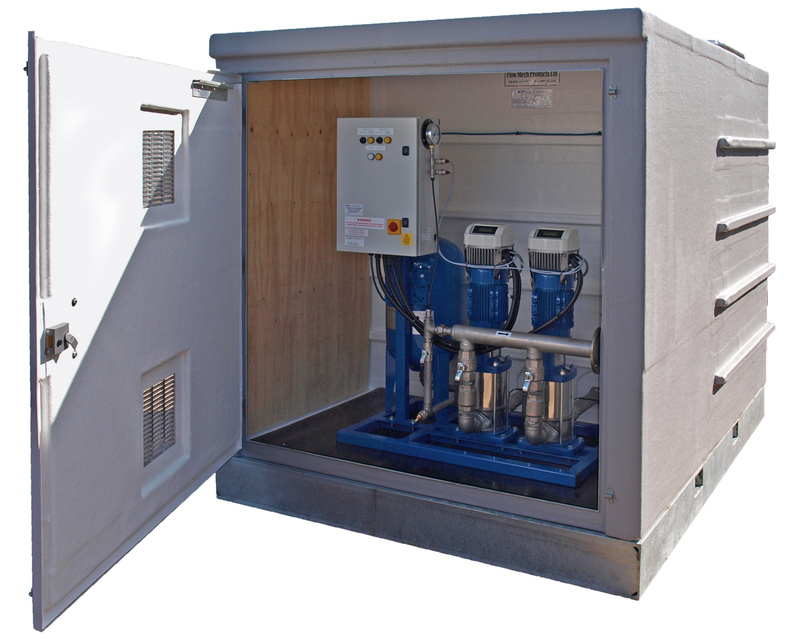 A booster set is often used to improve the water supply in buildings where there is insufficient pressure and flow available or water storage is required. 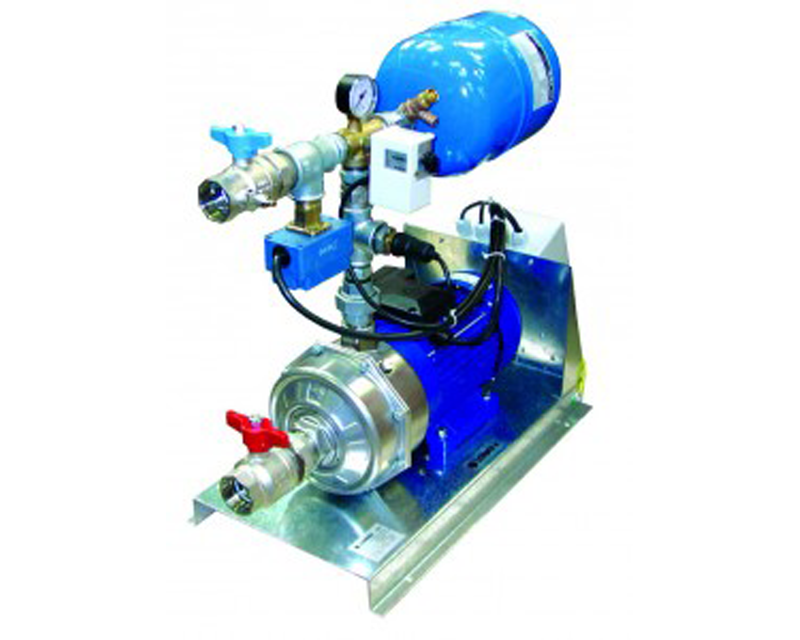 A water booster pump, like the ones that we supply at Flowmech, is designed to boost performance automatically. Offering a high level of efficiency, it’s no surprise that they are used in hospitals and industrial units. The way that a water booster pump works is simple. Fluid is drawn into the pump from a break tank fed by a mains water supply and water enters through the pump suction into the volute (pump body) where impellers, when activated, generate the flow & pressure. The impellers found within the water booster pump are close tolerance high efficiency that spins at a high rate to boost the pressure of water. The water that enters the system will be delivered at a constant pressure through a varying flow range. What are the main features of the home booster pump? Flow – the flow rate describes the optimum volume of water that can be delivered by the home booster pump expressed in litres per second or litre per minute. Pressure – the pressure or bar rating refers to the optimum pressure of the water that is delivered by the set. 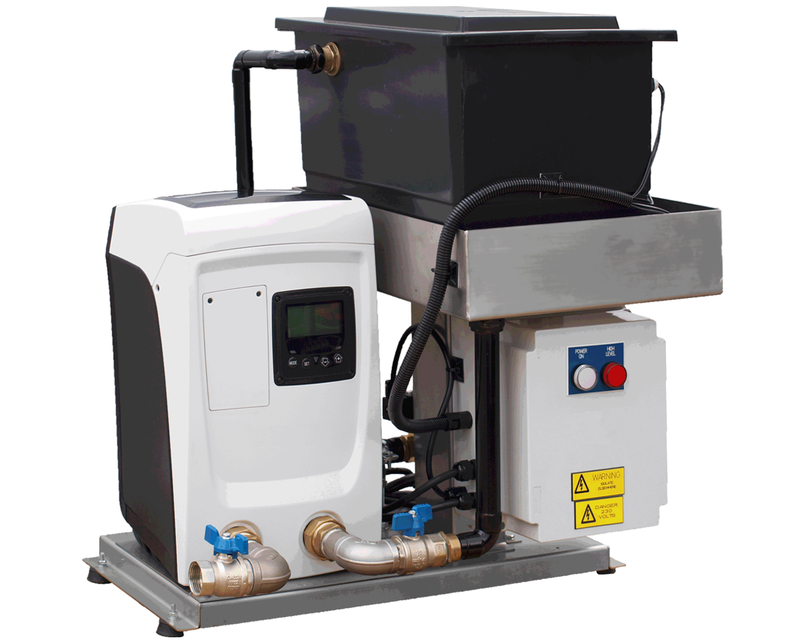 System – depending on which water booster pump you choose from our extensive range, it will either be inverter driven variable speed or fixed speed pressure switch operated. Either system is activated when there is a drop in the pressure. Impellers – the more impellers that a home booster pump has, the higher pressure the set will be capable of delivering. 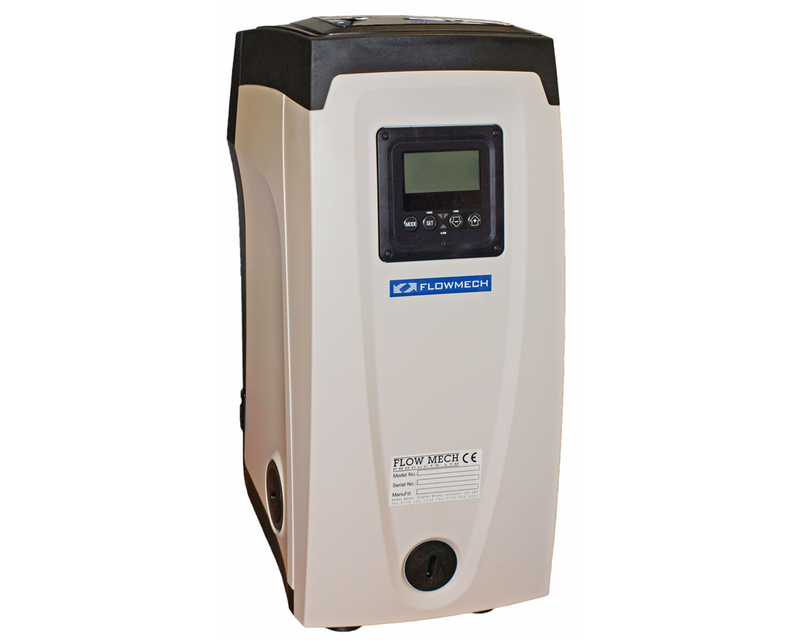 A home booster pump is selected to deliver the required pressure with maximum efficiency. Is your shower lacking power or fluctuating? Perhaps you’re fed up with it taking hours to wash the dishes- or run a bath. These are all problems that arise when water pressure is poor and a booster set from Flowmech can make a big difference. 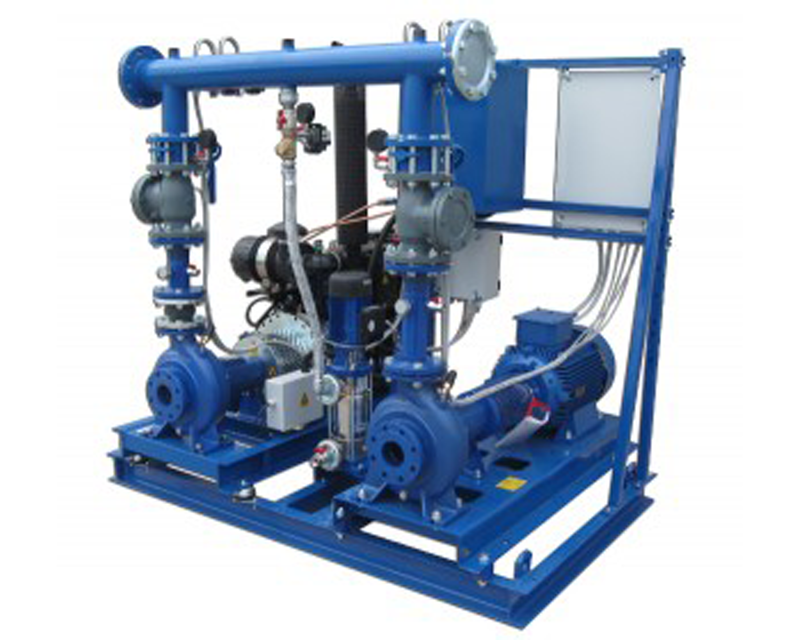 Here at Flowmech, we supply a standard range of booster sets that can be installed to the existing plumbing system but we also manufacture bespoke booster sets which are guaranteed to meet site space constraints. No matter which booster set you choose from our range, they are each wet tested and manufactured to be easily maintained- allowing you to repair or replace components. When it comes to choosing a home booster set, our technical sales department will size booster sets based upon building type and diversity with advice on the best operation and storage to suit the duty. Our commissioning/service department offer after sales service for all our equipment as well as other manufacturers’ products. To find out more, call us on 0116 242 5425, or check out our extensive range below. The latest product development from Flow Mech - compact variable speed Cat5 booster. Rapid fill, ultra quiet solenoid c/w stainless steel frame. 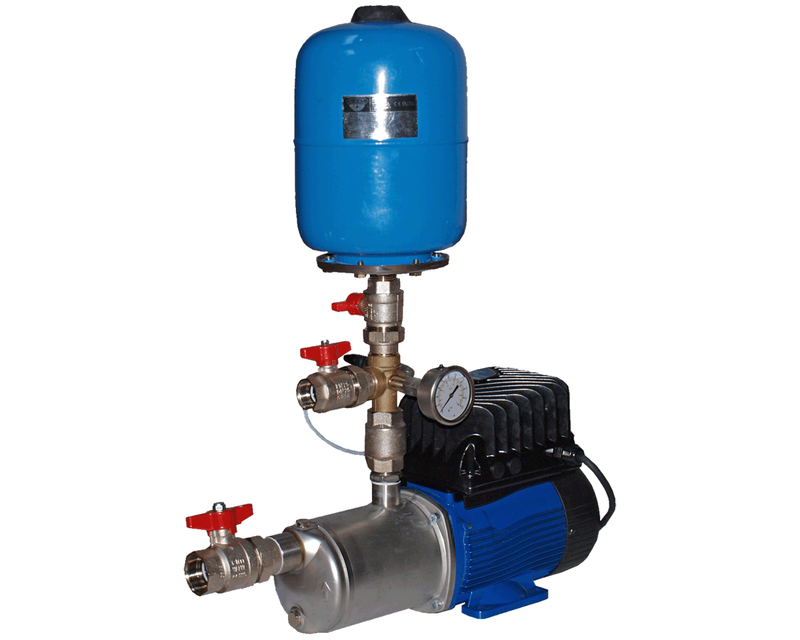 Flow rate up to 1.33 L/S developed pressure of up to 5.0 Bar. 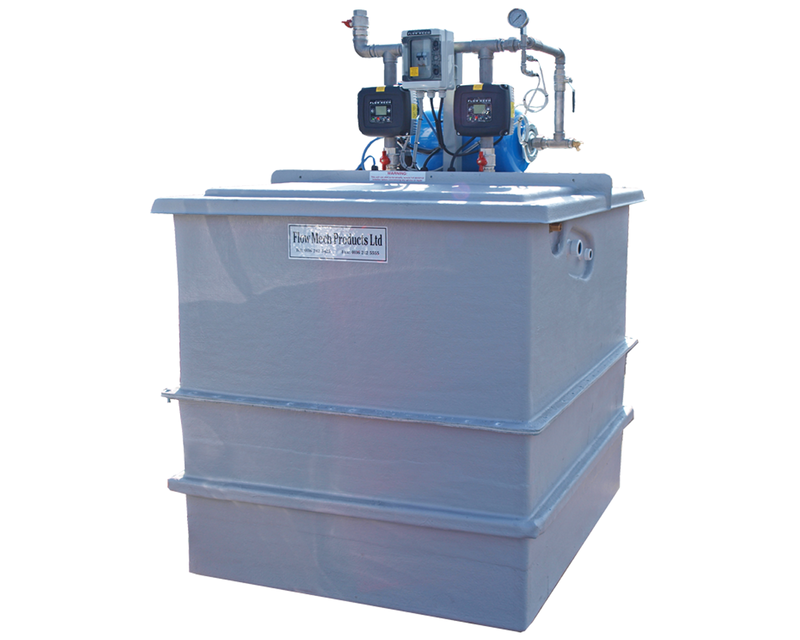 Multi-pump variable speed sets designed with built in WRAS listed storage tanks. Tank over options up to 3000L nominal one or two piece, with optional bolt together support frame. Tank alongside options up to 12000L one or two piece. 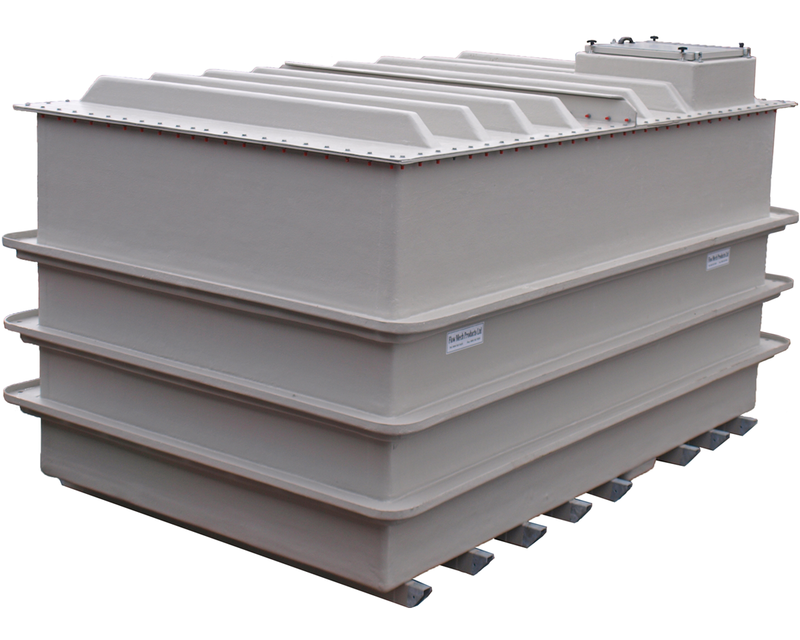 Sectional modular format which allows a comprehensive range of tank size and configuration. 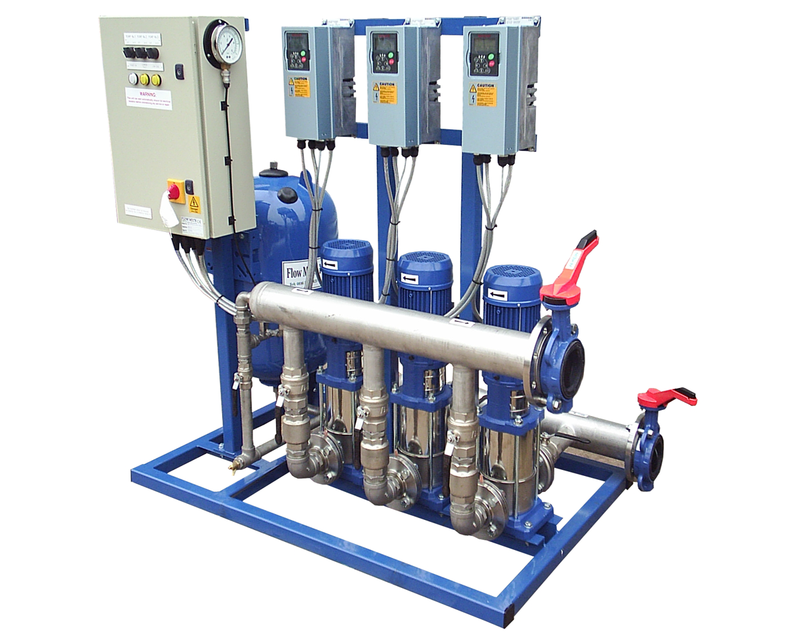 Multi-pump variable speed cold water booster sets. 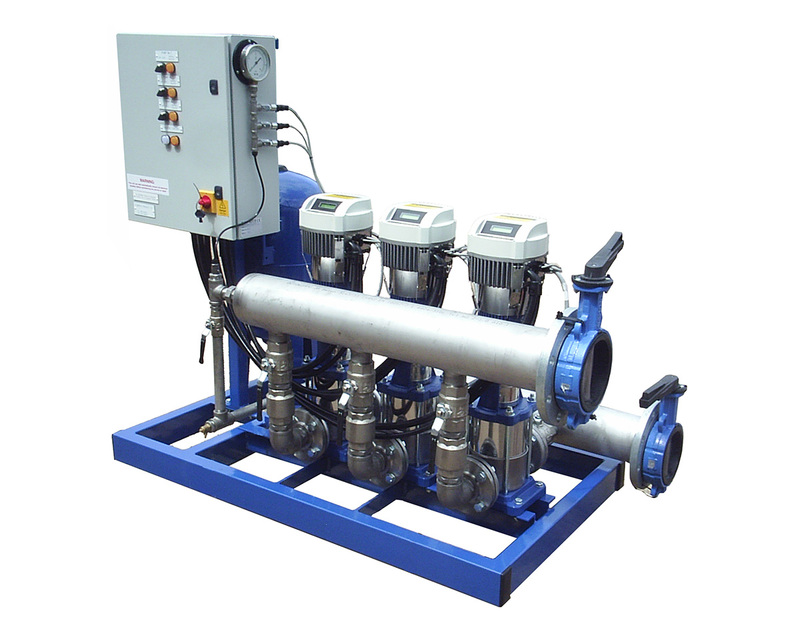 Standard or bespoke design output pressure up to 25bar flow rates 0 – 200 l/s multi-pump operation. 316 stainless Steel pipework, WRAS listed valves & optional electronic anti-surge feature. Flow Mech Products’ VS variable speed booster sets are designed to deliver constant pressure water supply under widely variable flow demand. Sets are designed to suit the application. Incorporating Grundfos, Lowara or Wilo pumps and either Danfoss or ABB inverters. The E.SYBOX is a completely new super silent solution in cold water boosting for residential and light commercial applications. 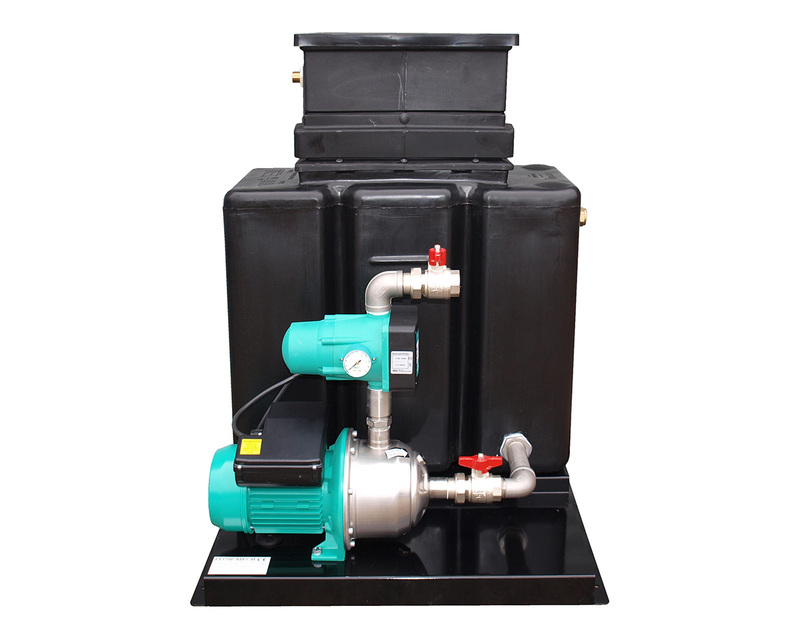 Essentially a single pump WRAS approved water cooled booster pump with integrated high efficiency variable speed motor. 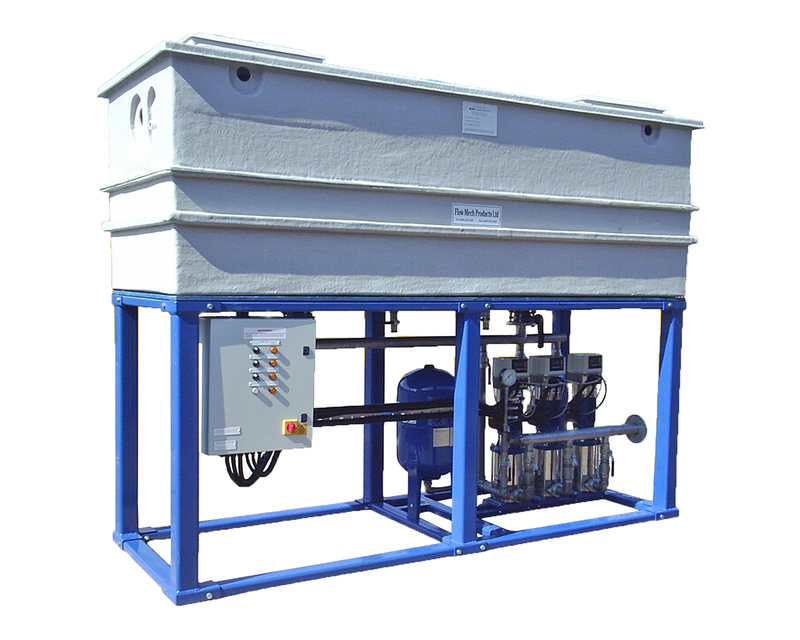 Flow Mech all in one self contained solution for water storage and boosted water. Designed for positioning outside in the elements when internal space is at a premium. Underground tank & booster package c/w WRAS listed GRP break-tank and variable speed cold water booster set, designed for installation underground. Automatic Sprinkler sets for domestic and residential applications. GEN Booster Sets for fire-fighting use.